Could you describe your work to someone new if you had to use fewer than 1,000 words? I certainly hope so – that’s two or three typed pages. If you need more than that, maybe you don’t really know your own project as well as you should. But what about this twist – try to use only the 1,000 most common words in the English language. This is the idea behind a new book by XKCD’s Randall Munroe, a cartoonist so creative that he sometimes doesn’t use any words at all. The thousand most commonly used words (actually, the ‘ten hundred‘ as the word ‘thousand‘ is not among the thousand most commonly used words) include terms like love (but not hate) and mind (but not brain) – according to the reliable reference The Reading Teacher’s Book of Lists, published in 2000. That list tells us that one-third of all printed English material is made up of the 25 most common words (starting with the, of, and, a, to, in, is, you, that . . . and trailing into more obscure words like this, have, and from). And among the thousand most frequently used English language words are gems such as shoulder, industry, planets, and cattle – but not the words gems, carbon, mantle, tectonics, nor even earthquake and volcano. You can see what this implies. The most common words are simple terms that include an assortment of tripe banalities which glue grander thoughts together and are often combined into quaint aphorisms. But our precious professional technical words are missing from the thousand-word vocabulary list. 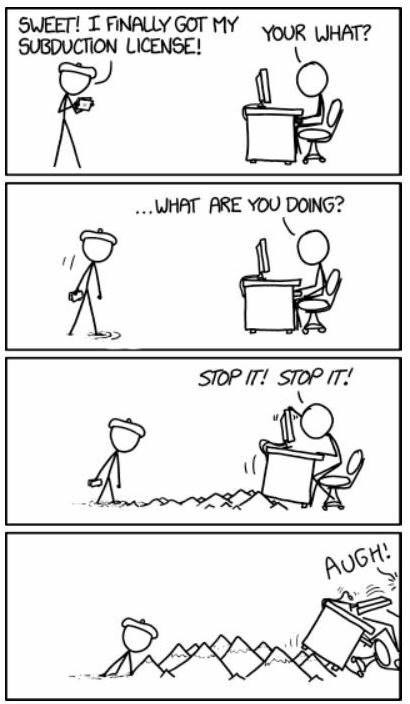 Randall Munroe demonstrates this in his book Thing Explainer, which will be released in late November. 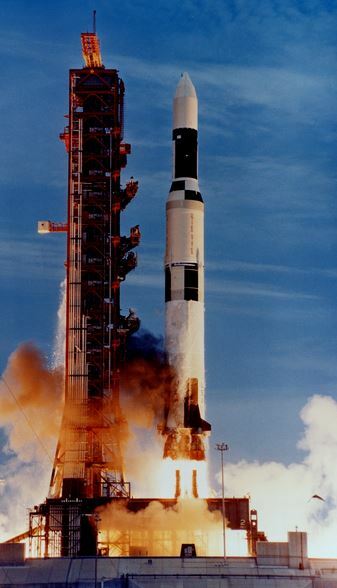 Using only the ten hundred most frequently written words, Munroe describes things like a Saturn V as the Up Goer Five. Using a thousand-word vocabulary, Randall describes subduction zones as ‘land going away‘ and continental crust as ‘land floor‘. It doesn’t take long to realize that such a limited stock of words may serve Orwellian New Speak political leaders well enough, but the rest of us would be better off avoiding simple words tied together in cumbersome constructions. We require a more expressive range. It is currently vogue to ask a professional to ‘explain like I’m five’ but the typical five-year-old uses fewer than 2,000 words. It is unlikely anyone can really explain something well by pretending to talk to a child. It takes a stronger vocabulary for science to be understood – even by a five-year-old. Our rhetoric should use clear and succinct discourse. (Admittedly, my blogs often miss that ideal.) Clarity doesn’t happen by limiting the size of one’s verbal repertoire. We must let new expressions enter a scientific conversation, quickly define them in rudimentary terms (thus reducing exclusionary technical lingo), then use the new technical words repeatedly until they become as comfortable as old shoes. Those new words then form the backbone of an even more clear and succinct vocabulary. Rather than the ten hundred common words used by Randall Munroe, we need to saturate the vernacular with our technical terms so that the vocabulary of the scientist becomes as widely understood as the simplest of words. It is unkind and unhelpful to dumb down a scientific message. 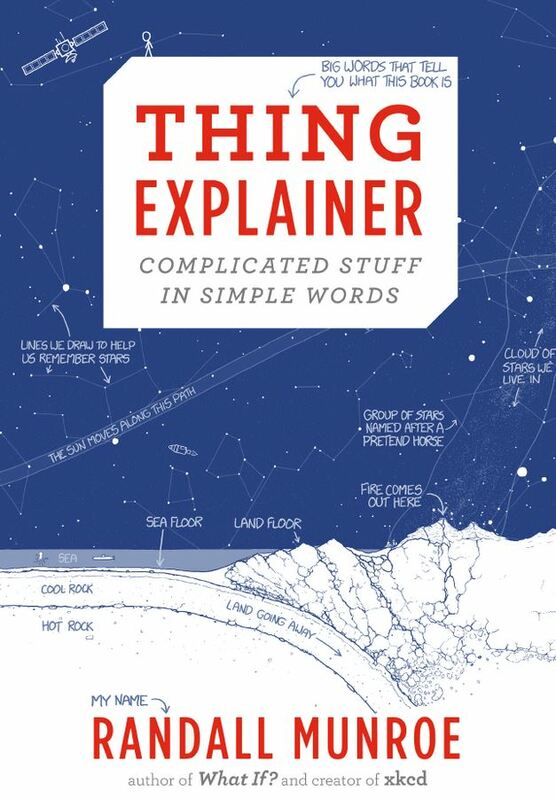 Although I greatly admire the work of Randall Munroe, his attempt to explain things with the thousand most frequently used words proves it is an impossibly discouraging task. Ultimately, Munroe’s exercise validates the need to educate non-professionals by using the language of science rather than reducing our concepts to insultingly simplistic terms. By choosing the former route, we find that most adults have little trouble understanding an expression such as “tectonic forces thrust subduction sheets deep below oceanic crust resulting in island arc volcanoes” and actually prefer such an explanation to a simplistic rendering like “big earth-moving power pushes down on away-going-land deep below water-bottom-land making island part-circle fire come out of the top place…” even though the latter is restricted to the thousand most common words. Don’t be embarrassed to communicate like an educated adult. Rather than “explain like I’m five,” let’s pretend that I am an adult with a brain but I majored in different subjects than you did at university. Now explain your work to me. This entry was posted in Book Review, Culture, Science Education and tagged communication, Randall Munroe, xkcd. Bookmark the permalink. Here I would recommend Steven Pinker’s excellent Sense of Style, and how he recommends what he calls the classical style of writing, and avoidance of in-group block-concept shorthand. Sometimes this will also greatly simplify vocabulary too: compare “experiments using a murine model” with “experiments on mice”.